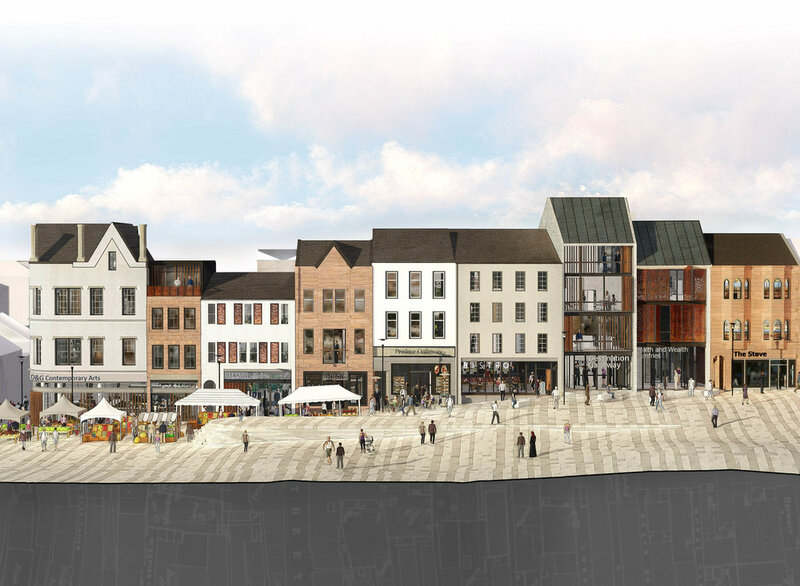 These images are from our entry to a competition organised by The Stove Network in Dumfries as a means of generating ideas for how best Dumfries High Street and Mid-Steeple quarter could be re-generated, with a focus on the area being re-activated through re-population. 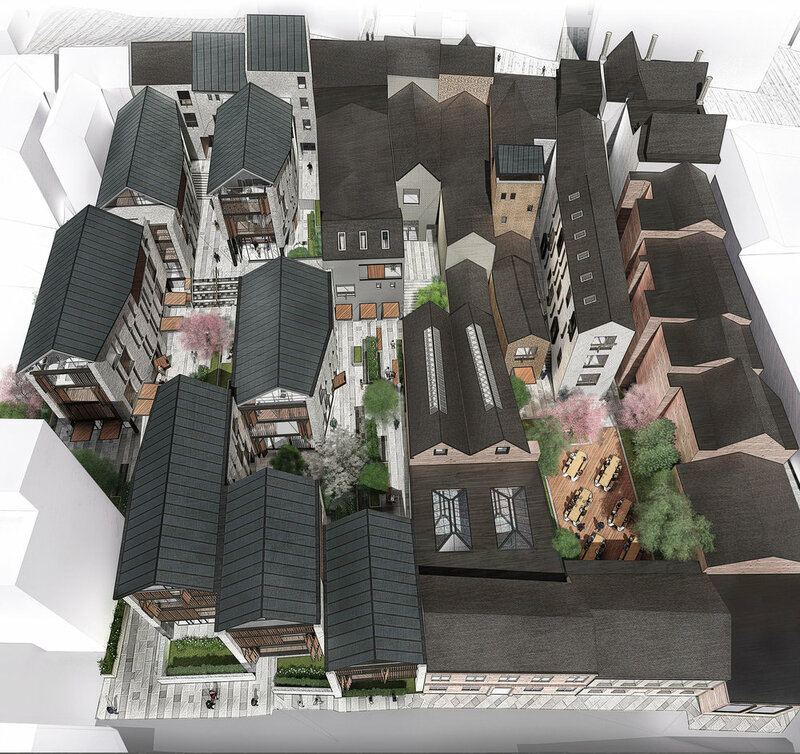 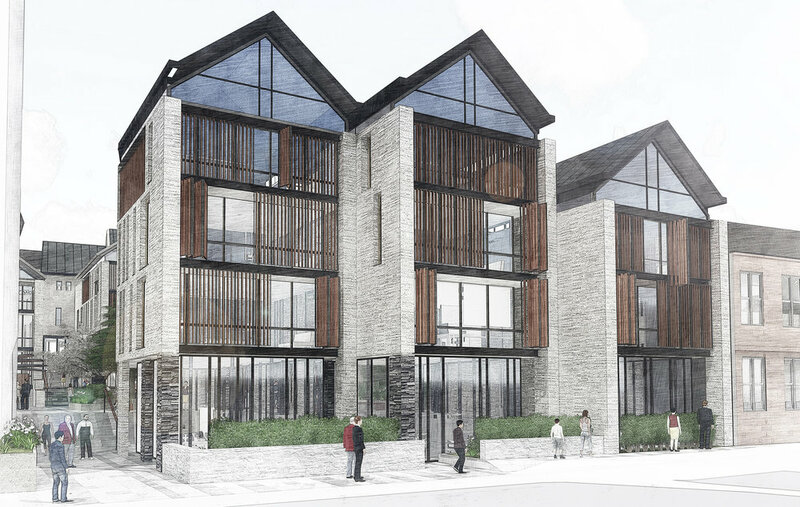 Our design proposed a masterplan comprised of part demolition and new-build, and part re-development of existing buildings to create a high density mixed use scheme of apartments, ground floor commercial / workshop space, artist’s studios, and new high street shop units for community groups. 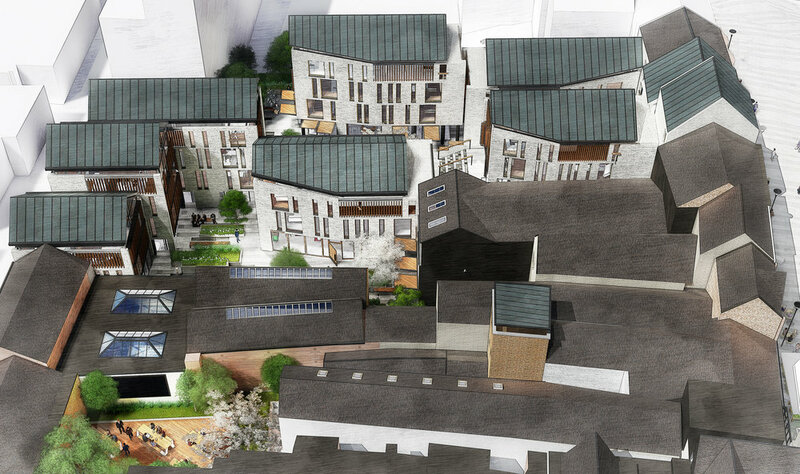 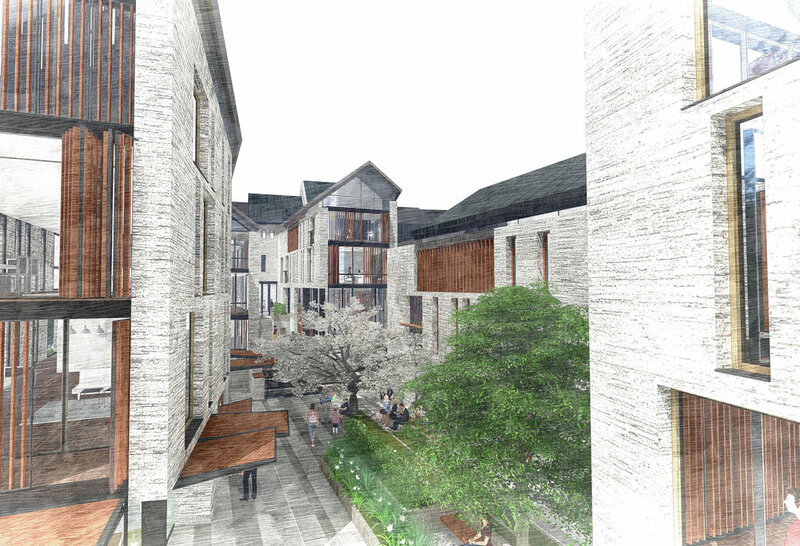 Our masterplan seeks to re-interprets and re-instates the traditional Dumfries pattern of vennels and closes.